president harry truman « CONSTABLE RESEARCH B.V.
At September 24, 1947, President Harry Truman created a secret group called the Majestic-12 (MJ12). 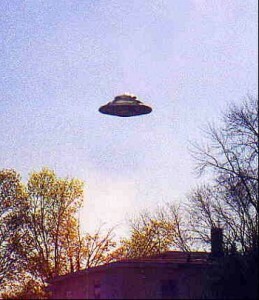 The task of this group was to investigate the Roswell incident. In July 1947 a UFO crashed at Roswell. One of the members of MJ12 was Admiral Roscoe Henry Hillenkoetter. He was the first director of the CIA. Hillenkoeter wanted to bring all the facts about UFO’s into the open. He even wrote a letter to US Congress. He wanted to stop the “official secrecy and ridicule that led many citizens to believe the unknown flying objects are nonsense” because “behind the scenes, high-ranking Air Force officers are soberly concerned about the UFO’s.”, “to hide the facts, the Air Force has silenced its personnel” through the issuance of a regulation“. Hillenkoeter did not succeed. The existence of MJ12 and other UFO activities of the US Government are still denied. Documents are highly classified. Sometimes somebody leaks important information but nobody is sure the information is true or given away by counter-intelligence to generate confusion. 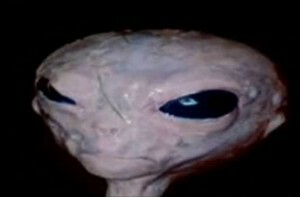 UFO’s exist and there are many theories to explain the UFO’s. They are certainly not natural phenomena (meteors) or caused by humans (planes, satellites). This is excluded in every investigation. The first theory is that there are no extraterrestrials. UFO’s are a human invention and are part of a “secret technology” that is a “spin-off” from German research during the Second World War. Many German scientists were transported to the US (and Russia) and went on with their projects (Project Paperclip). Some of the aliens want to destroy human civilization or use human genetic material to “enhance their own genes“; Others, The Galactic Federation (Pleiades), want to help and are protecting Earth. Many people have produced an enormous amount of books and reports to prove this theory. The interference on Earth of an outside civilization is a well known theme. The most famous case is described in the Gilgamesh Epic and the much older Atra-Hasesa-epic (1600 BC). These epics are cited in the Book Genesis of the Bible. The Atra-Hasesa creation myth is about the Sumerian gods Anu, Enlil and Enki, gods of sky, wind and water. 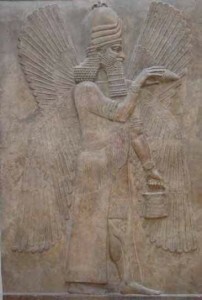 Heaven is ruled by Anu, earth by Enlil, and the sea by Enki. Enlil assigned junior gods to do farm labor and maintain the rivers and canals, but after forty years they rebelled and refused to do hard labor. Instead of punishing the rebels, Enki, who is also the kind, wise counselor to the gods, suggested that humans be created to do the work. They are created by shaping clay figurines mixed with the flesh and blood of a slain god. When there is an overpopulation of humans, the god Enlil sends famine and drought at intervals of 1200 years to reduce the population. In the end the total population is destroyed by a flood and only one human Atrahasis (“Extremely Wise“) is warned by Enki, builds a boat and life on earth is preserved. Enki and Enlil agree on other means for controlling the human population. The story of the Atra-Hasis can also be found in the Popol Vuh written in a completely different area of the world South-America. 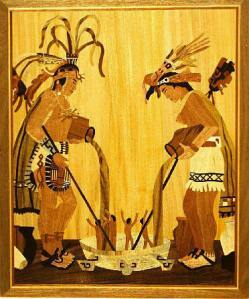 It relates to the Toltec. The most important person Quetzalcoatl looked like a reptilian. Many cultures, including the Hopi’s and the Maori’s, claim they are descendents of the Pleiadians. Their task is to keep the Earth safe. Their forefathers gave them a warning that the earth will be destroyed when the Sixth Sun will appear. This will be around 2012. In their creation story the Greys (called Ant People) play an important role. The Reptilians (Serpents, Naga, Djinn, …) appear in many myths all over the world. They live underground and interact with human beings on the surface. In some legends they came from a continent in the Indian Ocean that sank beneath the waves after a great flood almost destroyed the earth (Atlantis, Mu). Many new legends about aliens share many details of the old legends. The new aliens also warn about a coming disaster and want to help mankind to survive. I believe old civilizations existed on earth. There is much evidence that old civilizations used advanced technologies. I believe we are “not alone in the Universe”. There is much evidence that there are many systems in the Universe that are comparable to Earth. I believe the travel of Time/Space will be possible or is already possible. The new physics predicts (worm) holes that are a gate to another place in time and even to a completely different universe. I believe the big Governments (US, Russia, ..) are not telling everything they know. One of the reasons could be that they don’t want to create a panic or they are afraid to lose control. I believe many people are making up stories. I believe we will know the truth when the “good ones” finally are coming to rescue Earth. It is highly needed. The Book Fingerprints of the Gods by Graham Hancock, A MUST READ.